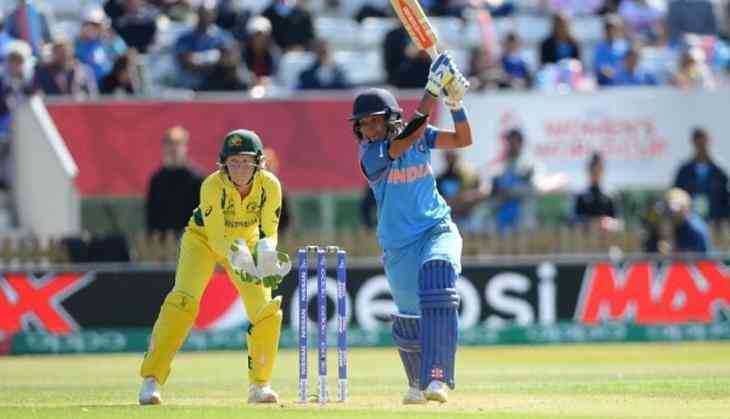 India's middle-order batswoman Harmanpreet Kaur became a famous name after her brilliant 171* runs off 115 balls that helped India defeat Australia by 36 runs in the second semifinal of the ongoing ICC Women's World Cup match on 20 July. The 28-year-old Punjabi Girl might be a well-known name in Indian cricket today, but there was a time when the god of cricket Sachin Tendulkar himself helped her for landing a job in Western Railways. As per reported by the Indian Express, Former India player Diana Edulji who spotted Harmanpreet Kaur in Delhi wanted her to move to Mumbai to enhance her skills. After that, Diana requested Sachin to write to the Railways ministry. Tendulkar was a Rajya Sabha MP at that time. Sachin wrote the letter after which Railways finally relented and Harmanpreet moved to Mumbai from Delhi. Harmanpreet Kaur has taken social media by storm after her brilliant knock against Australia. "I didn't get a chance to bat in the whole tournament," Kaur said after her scintillating knock. "Today when I got the chance I just wanted to utilise this opportunity, because today was the day where I wanted to prove myself and thanks to God, whatever I was thinking, (worked). "Mithali (Raj) and Deepti (Sharma) scored really well and Veda [Krishnamurthy] scored really well," she added complementing her batting companions. The 28-year old cricketer hailing from Moga in Punjab had earned acclaim on the T20 circuit, becoming the first Indian to be picked for the Big Bash League and the Kia Super League.